If you enjoy vintage drag racing, then this is a “must have” issue for you! We have both the Nitro Revival from Monterey, California, and The Race of Gentlemen (TROG), from Wildwood, New Jersey. Two fantastic events, and we have the BEST photos of these two events that you’ll ever see! 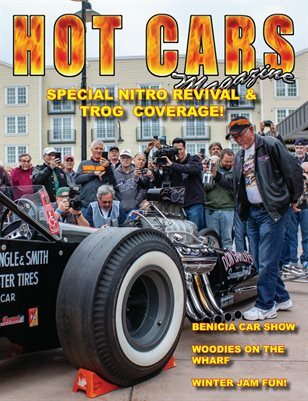 Next we have coverage from Woodies on the Wharf from Santa Cruz, California and another great Northern California show near the water; the Benicia Classic Car Show! To round things out, we have the Winter Jam drifting competition from Sonoma Raceway.